Waffle shop and clothes store in one. If you buy an item from their own fashion line you get a free waffle. 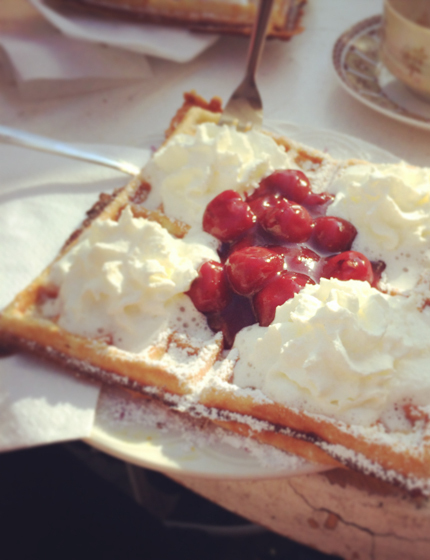 And let me tell you, these are the best waffles in Berlin!!! I like mine with warm cherries and cream. I had a lovely waffle at Glücklich am Park in the Berlin baking episode of my show, you can watch it here. 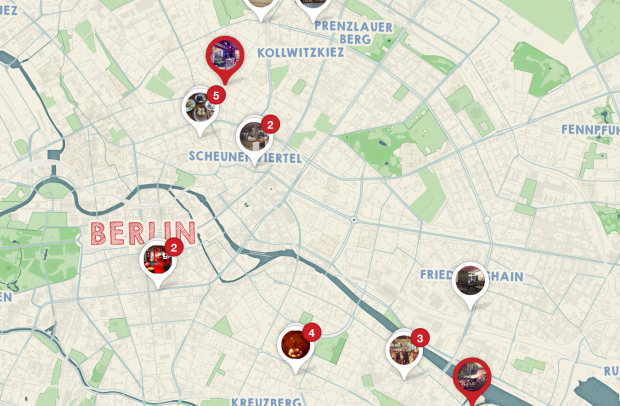 You can find the exact location of the Glücklich am Park and other tips on my Berlin Pinterest map.